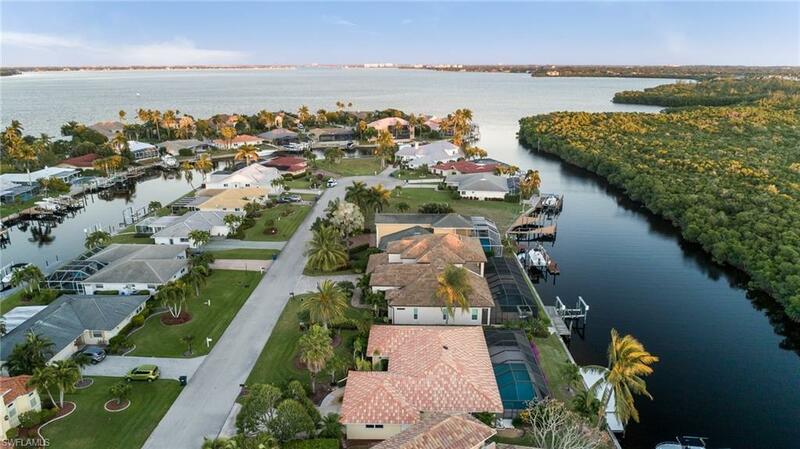 An idyllic location offering direct access boating, a short idle to open waters, and close convenience to the beaches of Sanibel and Captiva, this home truly offers it all. 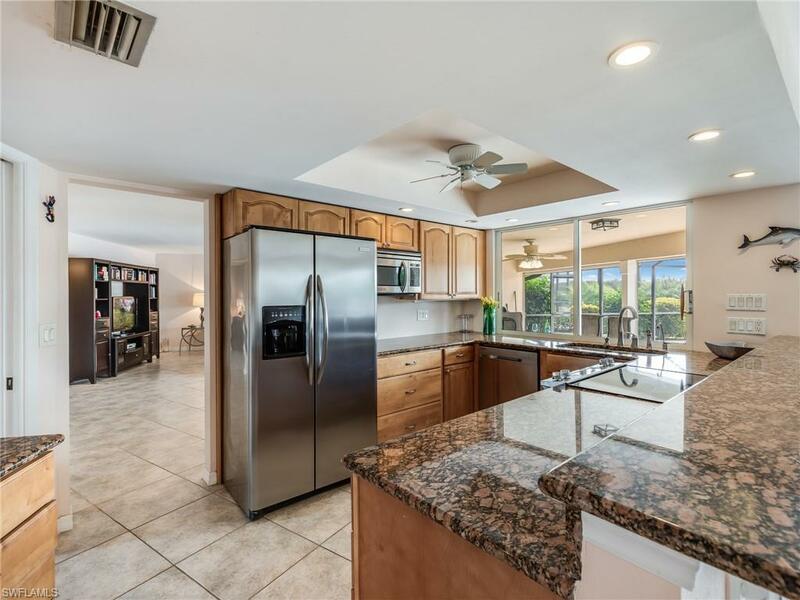 The ground level home features an open updated kitchen, large screened pool, and a perfect location where your views of the beautiful wide basin are only framed by mangroves and wildlife beyond. 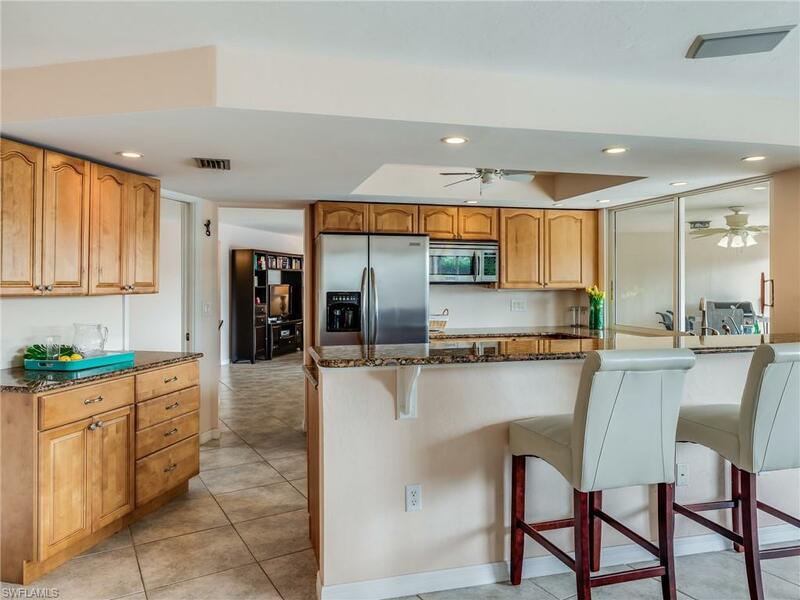 Well built, this home offers the convenience of ground level access, a great dock to house your boat or sailboat, and a wonderful location. 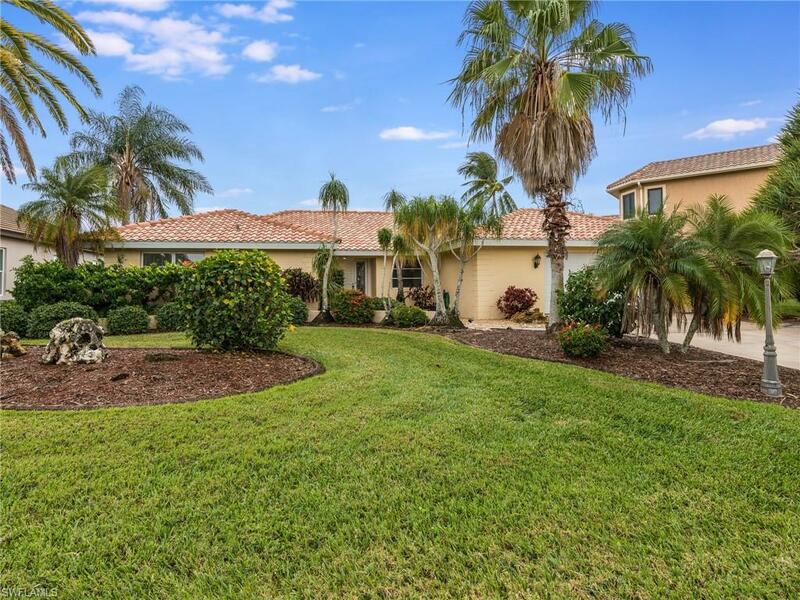 If you have ever dreamed of a day of fishing in the Gulf, shelling on the beach, enjoying a game of golf, or just lounging by the pool, this home is convenient to it all. Bring your beach towel and be prepared to relax and be happy.